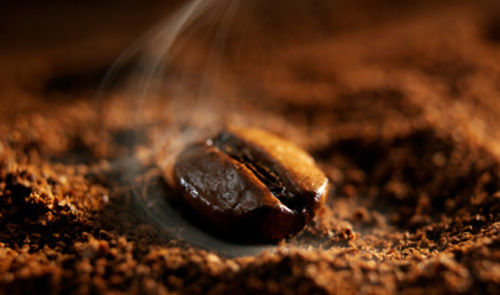 Quick Definition Of A Blade Grinder: Whereas a burr grinder chews and tears your coffee beans into small chunks suitable for brewing, blade grinders use electric whirring blades which spin around at high speeds and chop up your coffee beans into either a coarse or fine grind, depending on what you intend to brew once you grind the beans. What else can you grind with a coffee grinder? What to look for when buying a coffee grinder? How to get the most out of your blade coffee grinder? Blade grinders have a number of advantages over their burr grinding counterparts in the coffee grinding world that the aspiring home brewer will want to look at before buying. For instance, the best blade coffee grinders get the job done super fast, using spinning metal blades which quickly grind up your beans to the desired size and then you’re ready to brew in just a few moments. They are also generally easier to clean (less parts), and then there’s the everyday low price that’s hard to ignore. 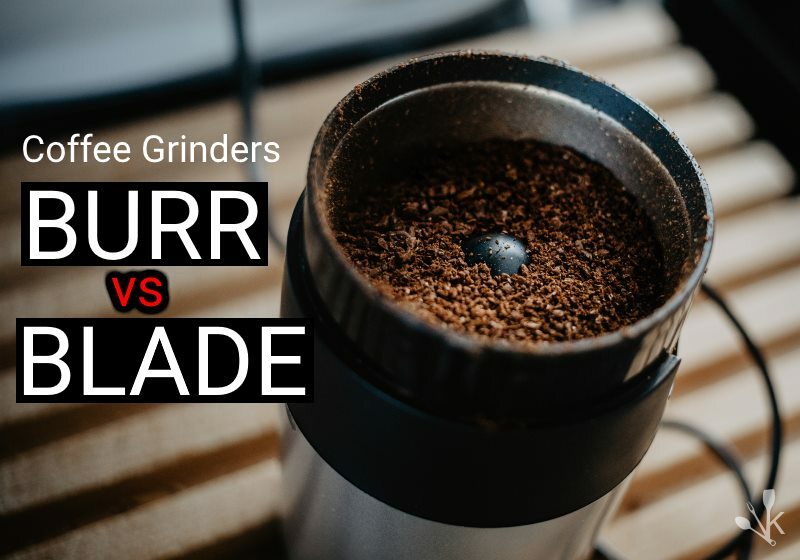 Blade grinders are actually far less expensive than a lot of burr grinders, which means that you can pick one up without it taking a huge toll on your wallet. Starting at as low as $12, you can get a good blade grinder that will do the job. Another big plus for blade grinders is that they are usually very compact. They are built to be quick and easy to use, and when you’re done, you can store them away if you so choose. This is quite different from many burr grinder models, which are much larger and bulkier, and basically often stay right where they are as it can be a bit of a pain to move them, plus they don’t fit snugly into any compartment, as they are about the size of your average blender. Another advantage of blade grinders is that they’re very easy to clean. They don’t contain a lot of complicated hardware, which makes them an ideal choice for their simplicity alone. When it comes time to clean them, a few quick wipes and you’re done. Not much to the cleaning process of blade grinders at all. One thing you want to keep in mind is the brewing method you’ll be using. Having the right grinder for each of these methods is crucial to getting the best flavor. Next, we talk about other things you can grind with your blade grinder. Coffee grinders are not built just for grinding coffee. Many of them are capable of grinding much more, including herbs, spices, nuts, wheat berries, weed, etc. However, not all coffee grinders are equal when it comes to grinding spices, herbs, or berries. Many spices are much smaller and harder than the average coffee bean. If you have a high quality blade grinder with sharp blades, you shouldn’t have any difficulties grinding spices and nuts. Grinders that have blades positioned close to the bottom are the best for grinding spices and seeds. If the blades are too high from the bottom of the grinder, they simply won’t reach the tiny seeds and spices at the bottom. 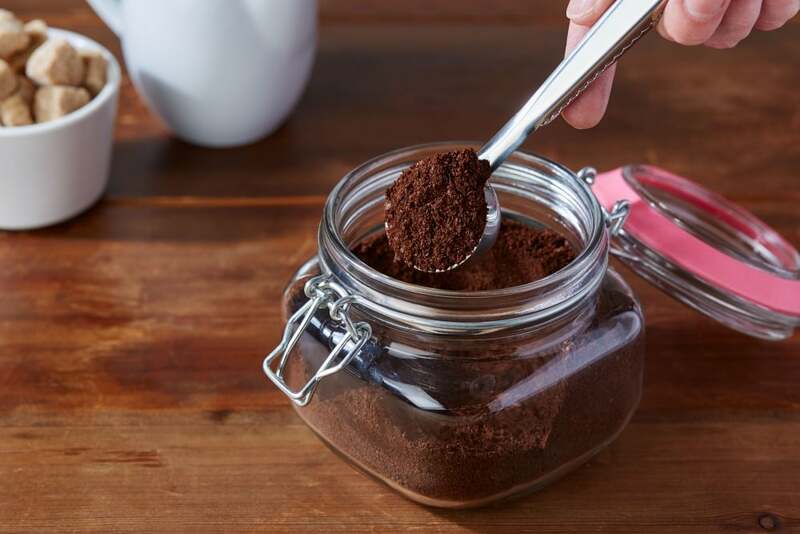 Although coffee grinders can grind spices, we highly suggest you not to use the same coffee grinder for grinding coffee and spices. The remaining coffee oils in your coffee grinder can taint your spices with a coffee flavor. Conversely, any remaining spices may alter the aroma of your coffee. As blade grinders are not expensive, we advice you buying two separate grinders. You can use one for coffee, and the other for spices, nuts, berries and seeds. Next, we explain what you need to take into consideration when buying a blade coffee grinder. Are you looking for a grinder that will add some style to your kitchen or for a grinder that will simply do what it is supposed to do? Coffee grinders come in all kinds of shapes and sizes. If you are looking for a grinder that will add some style to your home, we suggest you spending some extra money into buying a premium looking grinder. On the other hand, if you don’t mind the look of your grinder or you need a grinder that you can take with you when traveling, then buy a small and simple grinder that won’t take too much space in your luggage and won’t cost as much as a premium looking grinder..
Before you go shopping, think about whether you will be making coffee just for yourself or for several other people. If you think you will be making coffee just for yourself, you should buy a small-capacity grinder as it will take less space in your kitchen. It will also be easier for you to decide on the amount of coffee needed for grinding. If you will be making coffee for yourself and your family, roommates or co-workers, then you should look for a grinder with large capacity hopper that will help you store enough coffee for several cups. Many people wrongly believe that high-speed blade grinders are the best ones. Actually, blade coffee grinders that have high speed-motors usually produce a lot of heat, which can burn your coffee and affect the flavor and aroma of your coffee. If you want to avoid overheating and burning your coffee use shorts bursts, each lasting for around 5 seconds. Here is a tip for you: When buying a blade grinder, look for direct drive grinders as these grinders come with low-speed electric motors. Ready to go shopping? Before you go, we suggest you read our reviews of the top blade grinders available in 2019. We will start with Bodum Bistro Coffee Grinder. Bodum is a well known coffee brand with years of experience in making coffee grinders. Bodum Bistro is available in several amazing colors which are red, black, silver, green, copper, white, shiny black and shiny white. This wide selection of colors will let you find at least one style that will perfectly blend into your kitchen. 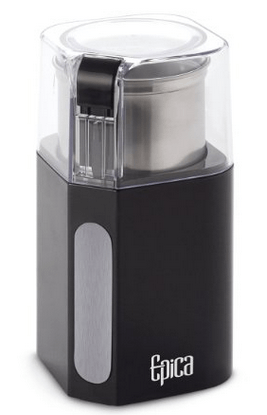 It is worth saying that Bodum Bistro is relatively simple blade coffee grinder. It does not pack any outstanding features, but it does do the task of grinding coffee amazingly well. Below are some of the most important features that make this grinder so amazing. The hopper capacity refers to the amount of beans that you can load into the hopper. 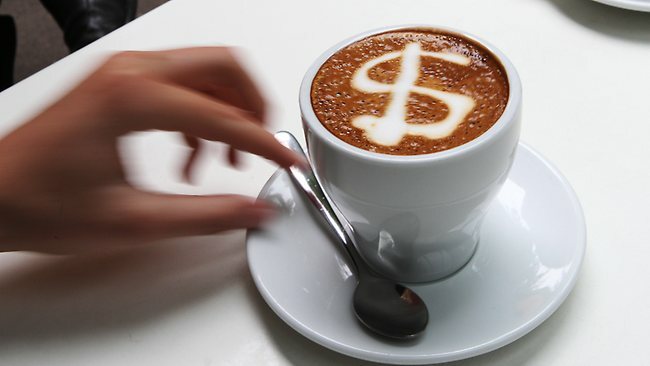 An average cup of coffee requires around 10 grams of coffee. This grinder can grind around 60 grams of coffee at once, enough for up to 6 cups of coffee. The secret to the perfect cup of coffee is to grind the beans just before the brewing process. You should always grind enough coffee to make the desired amount of coffee. Another cool thing about this grinder is that it lets you grind other spices and herbs. Don’t think this isn’t a useful feature. Being able to see into the grinder is very important as it allows you to judge when you have the right size of grind. For espresso you will want very fine grind, whereas for filter style coffee you will need a coarser grind. It is also worth mentioning that this grinder won’t run unless the lid is firmly attached to it. This acts as a very good safety feature. Bodum Bistro is incredibly simple to use. 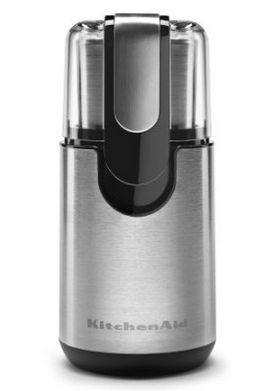 It only has a single button that you can push it to pulse the grinder, or hold it in for continuous grinding. That’s about it! There are no other settings you need to worry about. In order to clean this grinder, all you need to do is to brush it out with an appliance brush or to wipe it with a damp cloth. It’s important to know that you should never wash this grinder out as it is not waterproof. 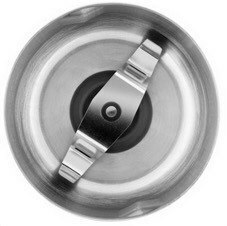 The blades are made of stainless steel, while the body of this grinder is made from a hard and very durable plastic. It is worth mentioning that the plastic parts have a rubberized feel to them. This is very useful as it lets you easily grip the grinder. Next, we move on to Melitta Coffee Grinder. What makes Melitta an amazing coffee grinder is the ability to adjust grind settings. Instead of having to judge the amount of time needed to grind your coffee beans according to your brewing method, Melitta grinder lets you adjust the grind settings. All you need to do is add coffee beans, choose fine, medium, or coarse grind size, select how many cups you want to brew (4, 8, 12, or 14) and press start. The grinder will calculate the correct amount of time required to spin the blades in order to produce the ideal grind size. Melitta also features a removable cup that is easy to clean. It is worth mentioning that a small cleaning brush is included into the package. You don’t need to worry about finding the right brush for cleaning your grinder. Melitta grinder does have a bit larger footprint than most other blade grinders. However, its footprint is way smaller than that of a burr grinder. Just like Bodum Bistro, Melitta grinder also has a storage area in the base of the device for cord storage. The cord is 2 feet long, which is very useful. There is nothing as annoying as having an alliance with a short cord that can’t reach your wall outlets. The grinder is made of stainless steel, rubber and high quality plastic. It is also well designed, meaning it will add some style to your kitchen. Hands-free grinding- Refer manual and use and care guide for any assistance. The Hamilton Beach 80365 electric blade grinder is another under $20 blade grinder, but you receive a lot of value for that price. The 80365 has received a ton of glowing reviews by its many users and maintains a high average user rating overall. Next on the list is Epica blade grinder. The Epica electric coffee and spice grinder with a lot of style, and it hovers around the $20 range like the other two on this list. The Epica has ranks highly as well, hence its inclusion on our little list here. Last but not least, KRUPS F203. 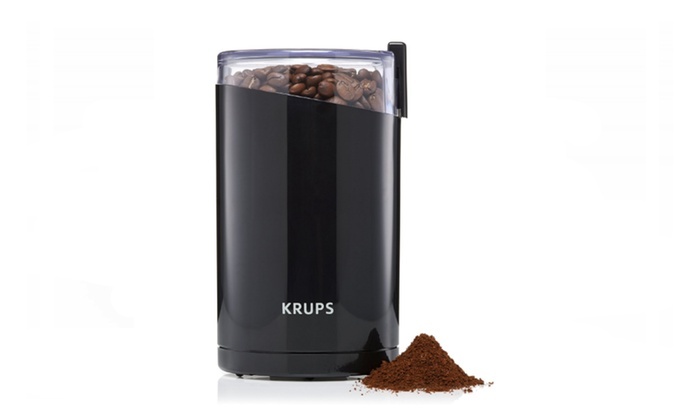 The Krups F203 electric blade coffee grinder may not cost a lot, but it maintains a high average user rating and is consistently praised for its grinding ability of all things, from coffee, to spices, and more. Next, we bring you some tips that will help you get the most out of your blade grinder. Here are some tips that will let you get the most out of your blade grinder and help you significantly improve your chances of a great cub of Joe. Make sure you grind your coffee as closely to brewing as possible. This will let you extract the full flavor profile from your coffee beans. Use shorts bursts, each lasting for around 5 seconds. The short bursts will prevent the grinder from burning the coffee. No matter what you do, don’t just let it rip. Remember, you are not racing with anyone. For a coarse grind, let your grinder run for 8 to 10 seconds only. For a medium grind, let the grinder run for 10 to 15 seconds. Taste your results and adjust accordingly. Eventually you will learn for how long you need to grind your coffee beans for different brewing methods. There you go! Those were some useful tips that will let you get the most out of your blade coffee grinder. Lastly, we explain how to clean your blade coffee grinder in less than 10 minutes. Did you know that you can clean your blade grinder in less than 10 minutes? Well, stay with us and we will prove you that you can clean your grinder and make it look as new in less than 10 minutes. Make sure your grinder is switched off before you start doing anything else. Even better, unplug the grinder from the outlet. First, remove the lid from the hopper of your coffee grinder. Next, use an appliance brush to scrape out and brush out any remaining coffee powder from the hopper. Put some rice into the hopper of the grinder. For most standard-sized coffee grinders you will need only ¼ cup (about 20 grams) of dry, uncooked white rice. 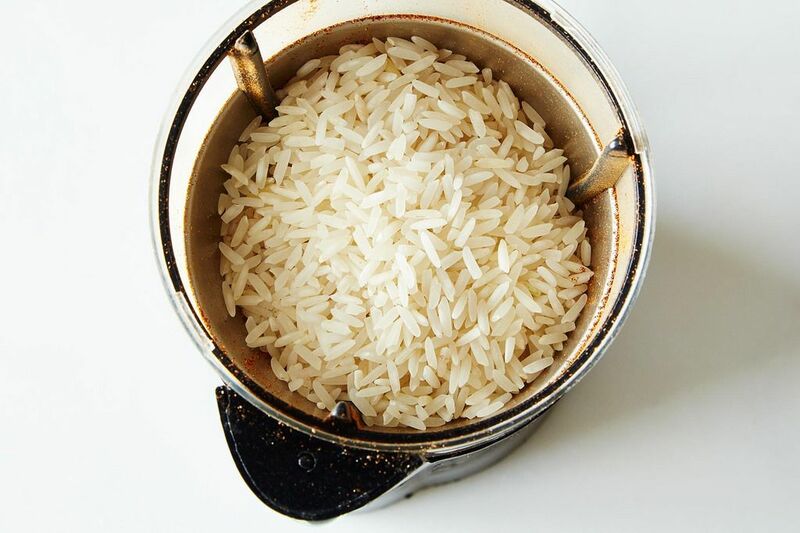 If you are not sure whether you have a standard– sized grinder, simply add enough rice into the hopper until it entirely covers the blades of your grinder. Put the hopper lid back on, plug the grinder into the outlet and switch it on. Run the grinder until the rice becomes a fine powder. Your rice should slightly change in color – it should turn a very light tan. Switch the grinder off and unplug it from the outlet. Dump the rice into a trash bin and then use the appliance brush to scrape and brush out any remaining rice powder. If your grinder is especially smelly, use a paper towel or a cloth dipped in plain white vinegar to wipe it out. The vinegar will remove the odor of coffee and rice. 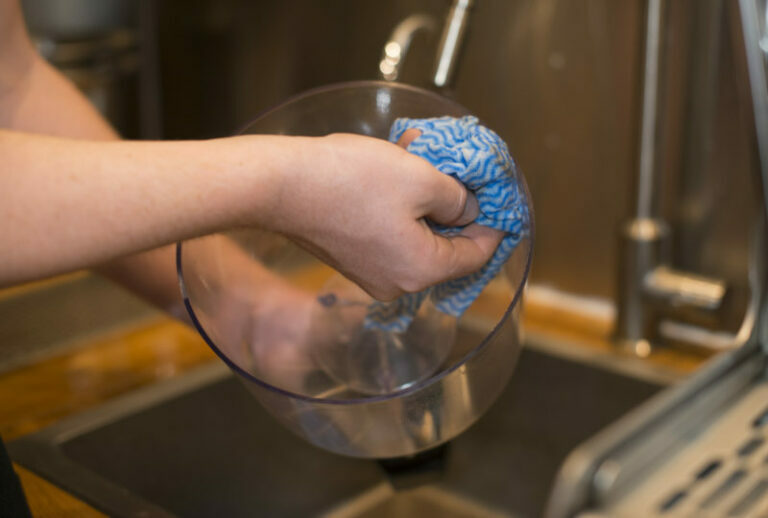 Next, give your grinder a good cleaning with a new piece of paper towel or cloth dipped in lukewarm water. Keep the hopper lid off and let your grinder air dry for 5 minutes. Make sure your grinder is completely dry before you use it again. There you go! You’ve cleaned your grinder in less than 10 minutes. Now treat yourself with a cup of your favorite brew! If you are looking to learn more about blade grinders, then this page has all the information you will need.